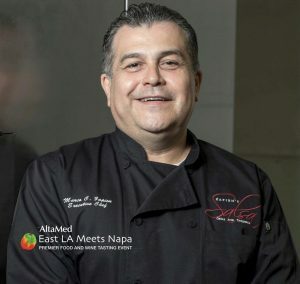 Chef Marco Zapien, Executive Chef and co-owner of Zapien’s Salsa Grill and Taqueria, will be named to the Pico Rivera Chamber of Commerce Executive Board in a special ceremony on Friday, June 15. Zapien will serve as Secretary on the Executive Board for one year, which will be made official at the Pico Rivera Chamber’s Installation and Awards Banquet held at the Swiss Park Banquet Center in Whittier. For many years, Zapien has been an active member of the Pico River Chamber of Commerce by volunteering, donating food and drinks and sponsoring various events. Zapien’s involvement will expand as he becomes more involved with the chamber in his role as secretary, and in events including the upcoming Pico Rivera Chamber Golf Tournament on Friday, July 13 at the Pico Rivera Golf Course. 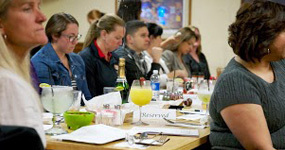 Like most chambers, the Pico Rivera Chamber of Commerce is dedicated to helping local companies grow their business by taking the lead in various programs and events. The chamber has hundreds of members and is constantly growing its base in adding small, medium and large businesses to its roster. 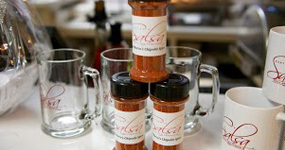 With over 20 years as the Executive Chef and co-owner of The Salsa Grill, Zapien proved his leadership years before as a chef for various sports & entertainment venus throughout the U.S., and now as a Corporate Chef for Melissa’s Produce. Zapien also owns a catering company, Black Tie & Blue Jeans Catering.